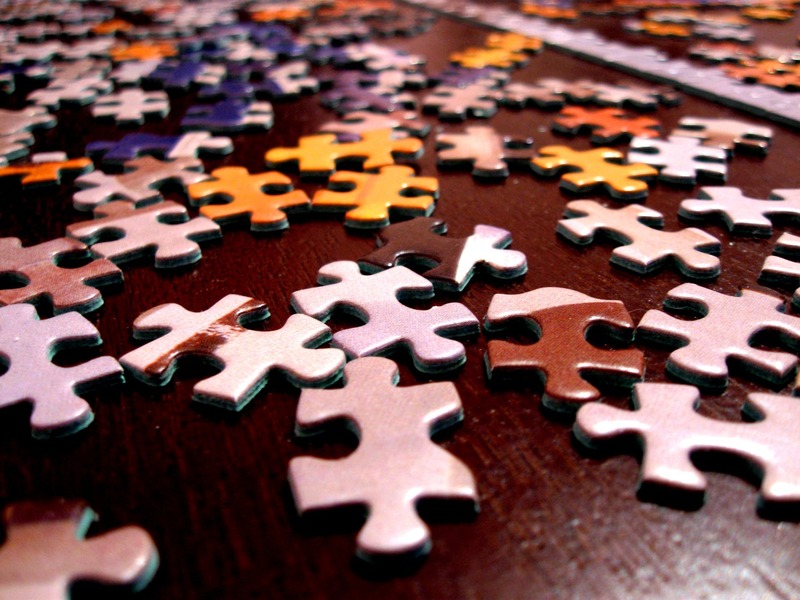 Jigsaw Puzzles… A Mindful Approach To Limit Screen Time, Improve Brain Health, And Bond With Family. We just got back from an amazing week in Bend, Oregon and I was inspired to write a post about jigsaw puzzles. A way to put our phones down, bond with family and friends, and rest our mind. I’m not good at sitting still (ask my Mom) yet I love the idea of meditation. Scientific studies prove that spending even a few minutes in meditation can restore your calm and inner peace. However, there are some of us that just can’t seem to do it… So what can we do? Maybe a Jigsaw puzzle! My daughter, Zoe received a puzzle for her birthday this year! It was a big one…. 1008 pieces! We decided to give it a go. It began with Zoe and I staring at the 1008 pieces… Where to start? We finished it 3 days later. My entire family (including my Mom and her Partner) took part in it. We laughed, talked, and had moments of silence during the many hours we spent completing it. Our days were full of outdoor activities and instead of unwinding on the couch, scrolling social media, or watching TV- I was drawn to the puzzle! It was awesome and I can’t wait to do another one. This article from Dr. Newtons is worth reading. Turns out, jigsaw puzzles are good for our brain and can help get us off our phones, away from the TV, and all the other screen related activities that seem to consume our time. With Mothers day coming up a jigsaw puzzle might be the perfect gift for the Mom in your life! Jigsaw puzzles! A perfect way to hang with the family.